As we move into the colder months, fire safety can be much more of an issue. We’ve got the fall candles lit, making the house smell good, we’ve got burn piles in the yard, getting rid of leaves, space heaters, fireplaces, campfires and extra time cooking in the kitchen… the list goes on. It can be the perfect combination to cause an accident. You and your family should always be aware of fire safety tips and have a fire escape plan in place just in case. 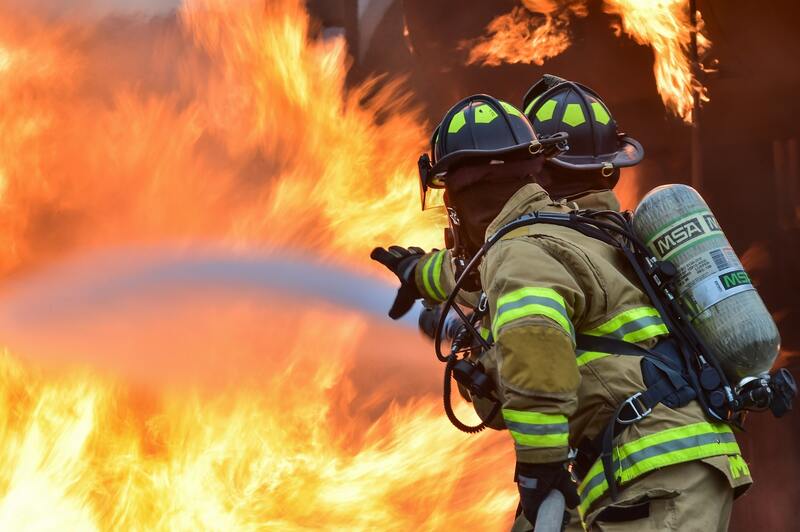 However, if the day comes where you become one of the 1.3 million residential fires averaging in the United States each year, MitiServe Restoration will be there for you. While there are lots of things you can do to prevent a fire, there are also some things that you should be aware of AFTER the fire as well. Touching items in your home that were damaged by fire, covered in soot and dirty water can put you at risk. Do NOT touch anything that has been contaminated by soot or dirty water. You may have the urge to try to save your possessions, but your chances of saving them are much higher if you allow a professional to handle it for you. Don’t try to clean upholstery or furniture. It is very easy to further damage the area without the proper equipment. Do not use any electrical appliances unless allowed and tested by a professional. Don’t turn on gas or water until approved by a professional. As you can see, it is always best to stay away and safe from your house and belongings after there has been a fire. Without the proper training and equipment, clean up after a fire can be very dangerous, and even deadly for a person. The best thing to do is contact your insurance company and have a professional restoration company like MitiServe Restoration come and protect your belongings and your family’s safety as well. To understand the process of what we do to keep your family safe after a fire, here is the step by step framework for what will happen when we come to help you. First, we board up the area. Then we perform Emergency Corrosion Mitigation to prevent further damage. A partial or complete packout of contents will then be performed. Next, we will begin the structural cleaning/restoration process and/or perform a demolition if needed. Personal items will be processed via our state of the art Contents Processing Facility featuring an Esporta Wash System and a Fireline Ultrasonics Systems. If reconstruction is necessary, we will begin the process. And finally, we will store the salvageable contents of the house in a climate controlled storage until the site is move-in ready. MitiServe Restoration also provides other restoration services, such as water damage, contents cleaning and restoration, mold remediation, and fast-track reconstruction. When you choose us, you choose experience, the latest technology, and technicians who truly care. We have locations in Harrison, AR and Springdale, AR. Give us a call today at 844-845-7314 for your restorations needs.